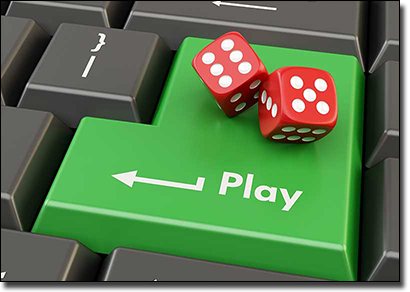 The advent of online casinos has changed the gambling industry significantly. From an increased variety of games and greater convenience, to better player odds and lower house edges, the betting industry now must keep pace with the growth and diversity of the real money Internet gaming trade. Microgaming – now one of, if not the leading and largest player in the online gaming software producing business – developed the first ever gambling software, which was protected by a security company called CryptoLogic. When safe financial transactions were made available on the Internet, the ability to transfer money over the Web coupled with Microgaming’s brand new software led to the first online casino opening to the public in 1994. In that same year, the Caribbean nation of Antigua and Barbuda passed the Free Trade & Processing Act, which permitted new companies and operators to apply for a license to open their own online casinos. With the continued expansion of the online casino industry, players needed a form of reassurance to know the games they were playing were fair, and their money and personal details were being safeguarded and not shared with any rogue third parties. In 1996, the Kahnawake Gaming Commission was established in order to regulate the services provided by online gambling operators, as well as to keep the operators themselves in check. The Kahnawake Gaming Commission still issues gaming licences to many of the online casinos and online poker rooms in operation today. Other regulatory and licensing bodies include the U.K. Gambling Commission, the Malta Gaming Authority, Curacao eGaming and the eCommerce Online Gaming Regulation and Assurance testing agency and player protection and standards organisation. With Internet gambling websites growing from 15 in 1996 to over 200 in 1997, to a Frost & Sullivan report revealing the 1998 revenues from online gambling had exceeded $830 million, interactive real money gaming had blown up exponentially. Casino groups were being formed, such as our highly-endorsed Fortune Lounge Group, which owns several of the most trusted and reputable international casino brands such as Royal Vegas Casino, 7Sultans Casino and Platinum Play Casino (all which utilise Microgaming’s advanced gaming software). Games like the pokies (slots), blackjack, roulette, poker, video poker, baccarat, instant style scratch cards, virtual racing and sports titles, craps, sic bo, keno and bingo were now being offered to players. When were Australian online gambling laws introduced? Countries such as Australia and the United States would attempt to bring in Acts which restricted the freedom of companies being able to market their online casino and gambling services to local residents. The Internet Gambling Prohibition Act introduced in the United States did not pass, while the Interactive Gambling Act (IGA) introduced by the Australian federal government was passed in 2001. The IGA made it illegal for both foreign and local organisations to advertise and offer real money interactive gambling services to Australian residents, and while this effectively stifled the nine-year operation of Australia’s first ever online casino (Lasseters Online), it did little to thwart offshore licensed companies from marketing their products and services to the local population. Citizens of Australia cannot be punished for accessing an utilising such services under the IGA. Reasons cited for the introduction of certain restrictions include the rise of problem gambling and attempting to minimise the harmful affects which gambling has been thought to carry. The fact gambling is still considered a sinful activity is another reason why some of the 56 per cent of the world’s population enforces some form of restrictions on running an online casino and on online gambling (also know as iGambling or iGaming) in general. But there are over 150 countries, according to the Key To Casino research team, which allow (or do not restrict) registered and licensed online casinos from operating within their borders. Europe is the most lenient continent when it comes to online gambling, with the large majority of all Internet casino licenses being held within Europe’s jurisdiction. According to Statista.com, the projected volume of the global online gaming market by the end of 2015 would be 41.4 billion U.S. dollars (that’s equivalent to approximately $53.3 billion AUD). When the online gambling business is combined with the land based casino global industry, IBISWorld estimates the total value to be worth just under $285 billion AUD – a number which is expected to grow by approximately 5.3 per cent annually over the next five years. So while iGambling has been calculated to make up around 20 per cent of the gambling industry, heavy investment in this area is already underway. The exponential advances in technology has allowed the gambling industry to take advantage of new platforms and new means to promote and market their services. Computers, mobile phones, tablets and Smart TVs are now all used as platforms to deliver high quality and real money interactive casino games played on the Internet. But it’s the development of Internet and Web browser technology, such as HTML5, Flash and Java, which has really helped developers and designers create software and games which push the boundaries and offer high definition visuals, and compelling graphics and audios. Some of the most prominent and respected Internet gaming software manufacturers today include Microgaming, IGT, Net Entertainment, BetSoft, Aristocrat, NextGen and NYX Gaming, White Hat Gaming and Leander Games. Online casinos have tapped into the live dealer gaming and real-time multiplayer gaming markets, where registered members (free to sign up) can play and interact with their friends via the Internet, watching and partaking in HD live streams of casino games controlled by real human croupiers dealing cards and spinning roulette wheels, from a regulated casino studio environment on the other side of the globe. This form of gambling has taken the interactive gaming industry by storm, with players dedicating YouTube channels to allow their subscribers and fans to watch them place bets at live dealer gambling websites. Gaming machine designers and software developers are incorporating more and more social gambling elements in their gambling technologies to attract more people. Tony McAuslan, the CEO of Spincycle Gaming and a former employee of Aristocrat and IGT, explained to Antony Funnell of the ABC how such manufacturers are also looking at virtual reality devices (such as Google Glass, Apple iGlass and Oculus Rift), surround sound, touch screens, and chair and screen vibrations to further interactive casino games and gambling. ‘Immersed’ is the word he uses, where players actually feel as though they are immersed within the game, with intense graphics and sounds. With such huge amounts of revenue coming in from online gambling, governments see dollar signs. While in Australia, the focus is currently on harm minimisation and providing help for those who consider themselves problem gamblers, we believe it is only a matter of time before restrictions are lifted and online gambling becomes much more mainstream (and no longer consider taboo) in contemporary society. While all country gambling bans won’t fall with the flick of a switch, the domino effect will be seen over time, no doubt. This is exciting, because those who are keen to gamble online will be able to do so at their own convenience, experience some of the most advanced and enjoyable immersive technologies on offer, and will also have the reassurance of playing with a licensed and registered local operator, as opposed to gambling with foreign companies. If individuals work to think of gambling as entertaining and fun, rather than a source of income, and set time and expenditure limits, we can hopefully incorporate into society an activity which has been present with mankind as far back as 2300 B.C., when dice were thought to be used in China to decide upon territories.